The commercial pilot was completing an instrument flight rules air taxi flight on a route that he had flown numerous times for the customer on board. Radar and voice communication data revealed that the airplane was vectored to the final approach course for the precision approach and was given a radio frequency change to the destination airport control tower frequency. The tower controller issued a landing clearance, which the pilot acknowledged; there were no further communications with the pilot. Weather conditions at the airport at the time of the accident included an overcast ceiling at 300 ft with 1 mile visibility in mist. 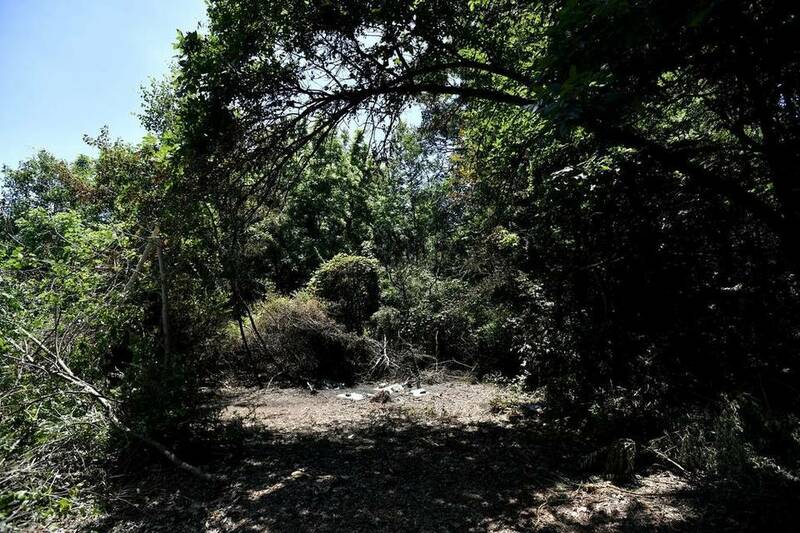 The wreckage was located in densely-wooded terrain. Postaccident examination revealed no evidence of any mechanical malfunctions or anomalies that would have precluded normal operation. The wreckage path and evidence of engine power displayed by numerous cut tree branches was consistent with a controlled, wings-level descent with power. A radar performance study revealed that, as the airplane crossed the precision final approach fix 6.7 nautical miles (nm) from the runway threshold, the airplane was 800 ft above the glideslope. At the outer marker, 5.5 nm from the runway threshold, the airplane was 500 ft above the glideslope. When radar contact was lost 3.2 nm from the threshold, the airplane was about 250 ft above the glideslope. Although the airplane remained within the lateral limits of the approach localizer, its last two recorded radar returns would have correlated with a full-downward deflection of the glideslope indicator in the cockpit, and therefore, an unstabilized approach. Further interpolation of radar data revealed that, during the last 2 minutes of the accident flight, the airplane's rate of descent increased from 400 ft per minute (fpm) to greater than 1,700 fpm, likely as a result of pilot inputs. During the final minute of the flight, the rate decreased briefly to 1,000 fpm before radar contact was lost. The company's standard operating procedures stated that, if a rate of descent greater than 1,000 fpm was encountered during an instrument approach, a missed approach should be performed. The airplane's relative position to the glideslope and its rapid changes in descent rate after crossing the outer marker suggest that the airplane never met the operator's stabilized approach criteria. 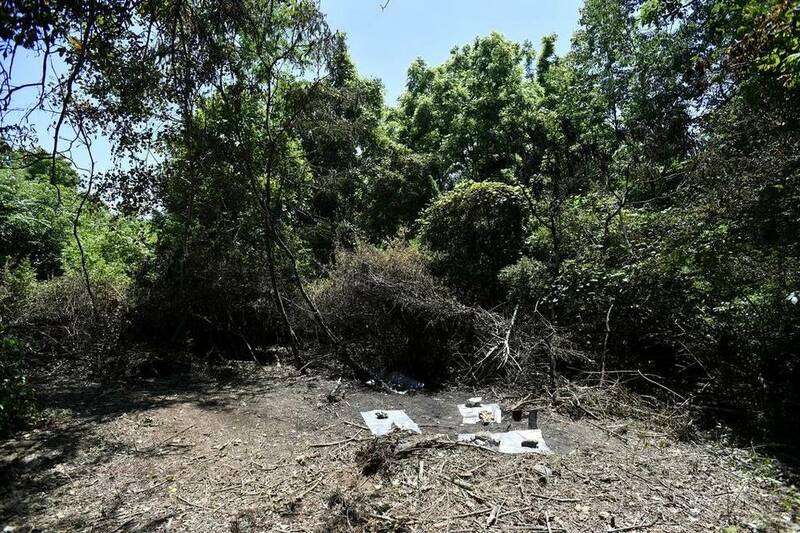 Rather than executing a missed approach procedure as outlined in the company's operating procedures, the pilot chose to continue the unstabilized approach, which resulted in a descent into trees and terrain. It is unlikely that the pilot's well-controlled diabetes and effectively treated sleep apnea contributed to the circumstances of this accident. However, whether or not the pilot's multiple sclerosis contributed to this accident could not be determined. The pilot's decision to continue an unstabilized instrument approach in instrument meteorological conditions, which resulted in controlled flight into terrain. On June 16, 2016, at 0830 eastern daylight time, a Piper PA-31-325, N3591P, was destroyed when it collided with terrain while on approach to University Park Airport (UNV), State College, Pennsylvania. The airline transport pilot and the passenger were fatally injured. The airplane was owned and operated by Aeronational, Inc. Instrument meteorological conditions prevailed, and an instrument flight rules flight plan was filed for the on-demand air taxi flight, which was conducted under the provisions of Title 14 Code of Federal Regulations (CFR) Part 135. The flight departed Washington County Airport (AFJ), Washington, Pennsylvania, about 0800. According to the operator, the passenger was a regular customer who was routinely flown to UNV. The pilot was familiar with the passenger and the route and had completed the flight numerous times. Radar and voice communication information from the Federal Aviation Administration (FAA) revealed that, at 0824:35, air traffic control (ATC) provided the pilot with a heading to intercept the final approach course for the instrument landing system RWY 24 approach at UNV and cleared the airplane for the approach. At 0825:30, the pilot was advised that radar services were terminated and was instructed to contact the tower controller at UNV. At 0825, the pilot contacted the UNV tower controller and announced, "…with you on the approach." The tower controller acknowledged the call and issued a landing clearance, which the pilot acknowledged. There were no further communications with the pilot despite multiple attempts by ATC. At 0843:50, an airport operations ground vehicle operating at the approach end of runway 24 identified smoke in a wooded area about 1 mile northeast of the airport and notified control tower personnel. The source of the smoke was later identified as the accident airplane. The pilot held an airline transport pilot certificate with ratings for airplane single-engine land, multiengine land, and instrument airplane. His most recent FAA first-class medical certificate was issued March 7, 2016, with the limitation, "Not valid for any class after 3/31/2017." The pilot reported 12,400 total hours of flight experience on the date of the examination, 350 hours of which were during the previous 6 months. Company training records indicated that the pilot had received the training required by the company's operations and training manuals. The pilot had completed the required annual ground training on January 18, 2016. His last airman competency check was completed satisfactorily on January 18, 2016, in the accident airplane. Pilot duty records indicated compliance with the flight and duty time requirements of Title 14 CFR Part 135. The pilot had just returned from 1 week of vacation, and the accident flight was his first flight since returning to duty. According to FAA records, the airplane was manufactured in 1980. Its most recent annual inspection was completed February 19, 2016, at 15,999.6 total aircraft hours, about 44 hours before the accident. The airplane was equipped with a King KAP/KFC 200 flight control system (autopilot). According to the operating instructions for the airplane's autopilot system, the system's approach mode captures localizer course and glideslope indications when properly configured by the pilot. The system will capture from either above or below the glideslope. No system limitations were published regarding the altitude above the glideslope from which the system would not capture or the rate of descent above which the system would not capture. A certification engineer for the autopilot manufacturer stated that a descent rate of 1,000 ft per minute (fpm) was "normal" to capture the glideslope from above. The operator's director of operations said that the autopilot in the accident airplane was unlikely to capture the glideslope from above at descent rates greater than 500 fpm. It could not be determined if the autopilot was in use during the approach, or which operational modes may have been engaged. At 0853, the weather recorded at UNV included an overcast ceiling at 300 ft, calm wind, and visibility 1 statute mile in mist. The temperature was 17°C and the dew point was 17°C; the altimeter setting was 29.80 inches of mercury. AIRMET Sierra for instrument meteorological conditions and mountain obscuration was in effect for the area surrounding the accident site at the time of the accident. The accident site was about 1 nautical mile (nm) from the threshold of runway 24 and about 2 nm beyond the final radar return at an elevation of 1,200 ft mean sea level. The wreckage was examined at the accident site, and all major components were accounted for at the scene. The wreckage path was located in densely wooded terrain and extended about 450 ft on a magnetic heading of 223°. The initial impact points were in treetops about 70 ft above the ground, and tree trunks and branches displayed impact fractures and sharp, angular cuts along the length of the wreckage path. Both wings were fragmented along the path. Both engines and each main landing gear were separated and scattered along the wreckage path. The fuselage and empennage came to rest upright facing the direction of travel. The instrument panel, cockpit, and cabin area were destroyed by postcrash fire. Control continuity could not be established due to extensive impact damage; however; parts associated with the wings, flaps, and ailerons were identified. Sheet metal and cabling associated with the empennage, horizontal and vertical stabilizers, and the elevators were identified, and the cable attach points at all primary flight controls were secure. Examination of the landing gear and components associated with the flap system were consistent with a 15° flap extension and the landing gear in the down and locked position at the time of impact. The propeller systems were attached to their respective engines, and all propeller blades exhibited similar twisting, bending, leading edge gouging, and chordwise scratching. Several tree branches and trunks displayed deep, angular cuts and paint transfers consistent with propeller blade contact. The engines were each damaged by impact and postcrash fire. The left engine displayed extensive thermal damage. The magnesium oil sump and the accessories mounted to the accessory section were consumed by fire, and the damage and contamination produced by the fire precluded rotation of the engine. The single-drive, dual magneto was consumed by fire and could not be tested. Borescope examination of the cylinders revealed normal operational deposits and wear and no preimpact anomalies. The right engine displayed extensive thermal damage. Impact damage to the No. 2 cylinder precluded rotation of the engine. The single-drive, dual magneto was damaged by fire and would not produce spark when rotated. Borescope examination of the cylinders revealed normal operational deposits and wear and no evidence of preimpact anomalies. The No. 2 cylinder was removed, and the engine was rotated by hand at the propeller. Continuity was confirmed from the powertrain through the valvetrain to the accessory section. Compression was confirmed on all cylinders using the thumb method, with the exception of the No. 2 cylinder. Forensic DX, Windber, Pennsylvania, performed an autopsy on the pilot. The reported stated the cause of death was thermal injuries. The FAA Bioaeronautical Sciences Research Laboratory, Oklahoma City, Oklahoma, performed toxicological testing on specimens from the pilot, with negative results for ethanol, carbon monoxide, and all tested-for drugs. According to FAA records, in 2001 the pilot reported a diagnosis of multiple sclerosis (MS) with persistent weakness in his left leg. He received his first special-issuance medical certificate in 2002. A report from the pilot's neurologist dated February 2016 indicated that his neurologic status was unchanged through that date. At his most recent examination for an FAA medical certificate, the pilot reported new diagnoses of diabetes and obstructive sleep apnea, which were managed with diet and the use of bilevel positive airway pressure (BiPAP) treatment, respectively. An airplane performance study was conducted based on radar data. As the airplane crossed the precision final approach fix (PFAF), 6.7 nm from the runway threshold, the airplane was 800 ft above the glideslope. As the airplane crossed the PENUE locator outer marker (LOM), 5.5 nm from the runway threshold, the airplane was 500 ft above the glideslope. When radar contact was lost 3.2 nm from the threshold, the airplane was about 250 ft above the glideslope. At PENUE LOM and at the last radar return, the airplane's position and altitude would have correlated to a full-downward deflection of the glideslope indication in the cockpit. Interpolation of radar data revealed that, during the last 2 minutes of the accident flight, the airplane's rate of descent increased from 400 fpm to greater than 1,700 fpm. During the final minute of the flight, the rate decreased briefly to 1,000 fpm before radar contact was lost. According to the operator's SOP, Stabilized Approach, "Flight should be stabilized by 1000 feet HAT [Height Above Touchdown] in IMC [instrument meteorological conditions]…" and further stipulated, "If an unexpected, sustained rate of descent greater than 1000 feet per minute (fpm) is encountered during the approach, a missed approach should be performed." According to an FAA Safety Team pamphlet, "Stabilized Approach," a stabilized approach is one in which the pilot establishes and maintains a constant angle glidepath towards a predetermined point on the landing runway. On June 16, 2016, at 0830 eastern daylight time, a Piper PA-31-325, N3591P, was destroyed during collision with terrain while on approach to University Park Airport (UNV), State College, Pennsylvania. The airline transport pilot and passenger were fatally injured. The airplane departed Washington County Airport (AFJ), Washington, Pennsylvania, about 0800. Instrument meteorological conditions prevailed, and an instrument flight rules flight plan was filed for the on-demand air taxi flight, which was conducted under the provisions of 14 Code of Federal Regulations Part 135. Preliminary radar and voice communication information from the Federal Aviation Administration (FAA) revealed that at 0824:33, air traffic control (ATC) provided the airplane with a heading to intercept the final approach course for the instrument landing system (ILS) approach to runway 24 at UNV, and cleared the airplane for the approach. At 0824:25, the airplane was advised that radar services were terminated, and was instructed to change radio frequencies and contact the UNV ATC tower. At 0825, the airplane contacted UNV tower and announced "…with you on the approach." The tower controller acknowledged the call and issued a landing clearance. There were no further communications with the airplane despite multiple attempts by ATC. At 0843:50, an airport operations ground vehicle operating at the approach end of runway 24 identified smoke in a woodline about 1 mile northeast of the airport, and notified the control tower. 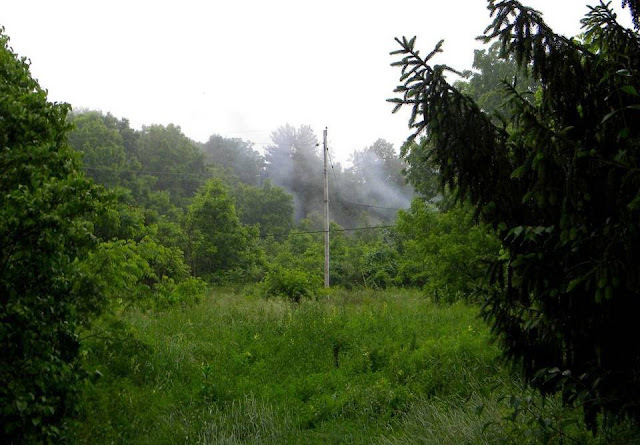 The source of the smoke was later identified as the accident site. The pilot held an airline transport pilot certificate with a rating for airplane single engine land, multiengine land, and instrument airplane. His most recent Federal Aviation Administration (FAA) first-class medical certificate was issued March 7, 2016. He reported 12,400 total hours of flight experience on that date, 350 hours of which were during the six months previous to that date. According to FAA and maintenance records, the airplane was manufactured in 1980. Its most recent annual inspection was completed February 19, 2016 at 15,999.6 total aircraft hours. At 0853, the weather recorded at UNV included an overcast ceiling at 300 feet, calm wind, and visibility 1 statute mile in mist. The temperature was 17 degrees C, and the dew point was 17 degrees C. The altimeter setting was 29.80 inches of mercury. Airmen's Meteorological Information (AIRMET) Sierra for instrument meteorological conditions and mountain obscurations was in effect for the area surrounding the accident site at the time of the accident. The wreckage was examined at the accident site, and all major components were accounted for at the scene. The wreckage path was in densely wooded terrain, about 450 feet long, and oriented on a magnetic heading of 223 degrees. 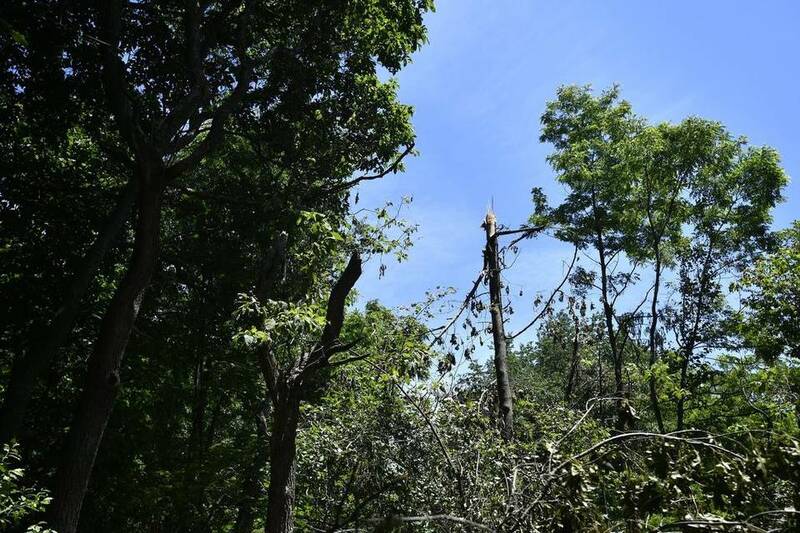 The initial impact points were in treetops about 70 feet above the ground, and tree trunks and branches displayed impact fractures and sharp, angular cuts along the length of the wreckage path. Both wings were fragmented along the path. Both engines and each main landing gear were separated and scattered prior to the main wreckage. The fuselage and empennage came to rest upright and facing the direction of travel. The instrument panel, cockpit, and cabin area were completely destroyed by postcrash fire. Control continuity could not be established due to extensive impact damage; however; parts associated with the wings, flaps, and ailerons were identified. Sheet metal and cabling associated with the empennage, horizontal and vertical stabilizers, as well as the elevators were identified, and the cable attach points at all primary flight controls were secure. Examination of the landing gear and components associated with the flap system were consistent with a 15-degree flap setting and the gear in the down and locked position. The propeller systems were attached to their respective engines, and all propeller blades exhibited similar twisting, bending, leading edge gouging, and chordwise scratching. Several tree branches and trunks displayed deep, angular cuts with paint transfers consistent with propeller blade contact. The engines were each damaged by impact and postcrash fire. The left engine displayed extensive thermal damage. The magnesium oil sump and the accessories mounted to the accessory section were consumed by fire, and the damage and contamination produced by the fire precluded rotation of the engine. The single-drive, dual magneto was consumed by fire and could not be tested. Borescope examination of the cylinders revealed normal operational deposits and wear, and no preimpact anomalies. The right engine displayed extensive thermal damage. Impact damage to the No. 2 cylinder precluded rotation of the engine. The single-drive, dual magneto was damaged by fire and would not produce spark when rotated. Borescope examination of the cylinders revealed normal operational deposits and wear, and no preimpact anomalies. The No. 2 cylinder was removed, and the engine was rotated by hand at the propeller. Continuity was confirmed from the powertrain through the valvetrain, to the accessory section. Compression was confirmed on all cylinders using the thumb method, with the exception of the No. 2 cylinder. There is little evidence left of the plane crash in the Benner Township woods a mile from the University Park Airport. 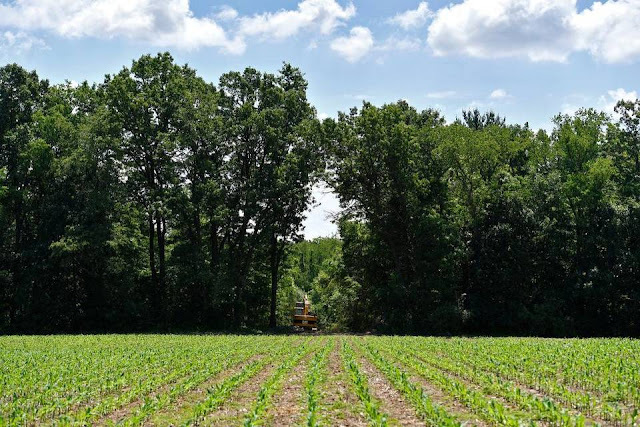 The wooded land on Penn State-owned ground has no fuselage or wheels or engines, just a hole in the trees where the Piper Navajo cut its way through on June 16. There are a few other items, though. Namely, there are a few pieces of plastic sheeting weighted down over spots on the ground. The evidence of the plane crash is beneath them in the form of fuel. The scene took longer to clean up than the crash just eight days before. That minor crash had no injuries. The second crash claimed the lives of two Pittsburgh-area men, pilot Gary Orner, 60, and corneal surgeon Robert Arffa, 62. The crash site became the investigation scene for the Federal Aviation Administration and the National Transportation Safety Board. “After the FAA and NTSB departed, Penn State Office of the Physical Plant personnel walked the site of the crash to scan for any evidence of fuel release,” said Robbins. The investigation continues. The NTSB said that a preliminary report should be available within a week to ten days. A report has still not been released on the June 8 crash. A final report can take a year or more. A hole in the tree line leads to the site where the airplane crashed. A plane approaching the University Park Airport from the east crashed into a wooded area on Thursday, June 16, 2016, killing two people. When a car crashes, it can be tragic, but it is also the kind of thing that happens every day. The number of total accidents, what with sudden-stop fender benders in morning traffic and parking lot T-bones, is hard to measure because many aren’t reported, but the serious ones do get tallied. According to the National Highway Traffic Safety Administration, the latest hard data come from 2013, when 2.3 million people were injured and 32,719 were killed in motor-vehicle incidents. Airplane crashes, on the other hand, are a less than everyday occurrence. The National Transportation Safety Board says that during the same time, 429 people were killed in plane crashes. 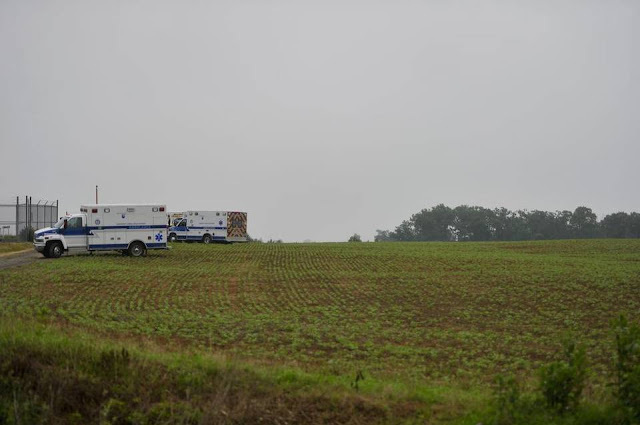 When a Piper PA-31-325 Navajo air ambulance owned by Aero National Inc., of Washington, crashed in Penn State-owned woodland on approach to University Park Airport on Thursday, it was not a simple June morning. It was the morning that pilot Gary Orner, 60, of White Oak, and Pittsburgh-area corneal surgeon Robert Arffa, 62, lost their lives. If it had been a car crash, the state police would have responded. There may have been a crash reconstruction. 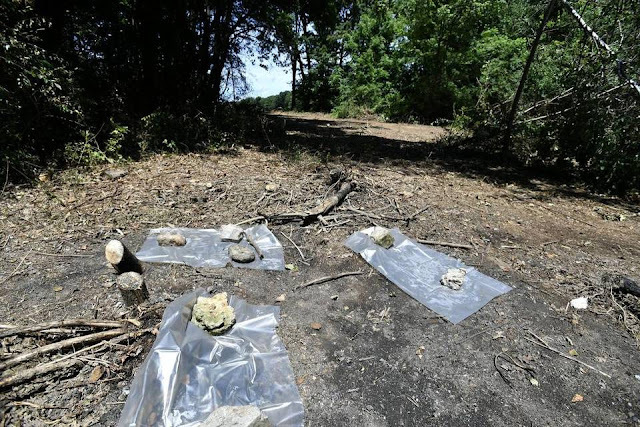 There would have been measurements of the skid marks from the tires and witness accounts and within a few days — maybe a few weeks depending on how busy the Rockview troopers were and how complicated the incident — people would know how it all happened. With a plane crash, things are a little more complicated. They are also more regulated. When an airplane is involved, the incident is not in local hands. It isn’t even the job of the state. The investigation is the job of the NTSB. Since 1967, that agency has been tasked with finding the answers behind non-military aviation crashes. It isn’t a body that regulates travel, like the Federal Aviation Administration. It can’t arrest someone for a mistake, like law enforcement. The job is to take the broken pieces of a crash, separate and analyze those puzzle pieces and reassemble a complete picture of what happened. That is what is happening as investigators look for answers in the Aero National crash. Penn State operates the airport, and spokeswoman Heather Robbins reported smoke on the plane’s approach and no response when the tower attempted to contact the Piper. All that is known is the plane left Washington County Airport at 7:30 a.m. and crashed just short of UPA. “We are in the very, very early stages of the investigation,” said NTSB spokesman Terry Williams. That starts at the crash site. Williams said investigators are still looking at the debris field, the area where the plane was found a mile east of the runway. That site shows trees snapped in half around the broken wreckage. “We will look at everything. We will look at the engines,” said Williams. The Piper Navajo is a twin-engined plane. FAA registration information shows those engines being the Lycoming TIO-540 SER, manufactured by the Williamsport-based company that has been putting planes in the air since 1929. 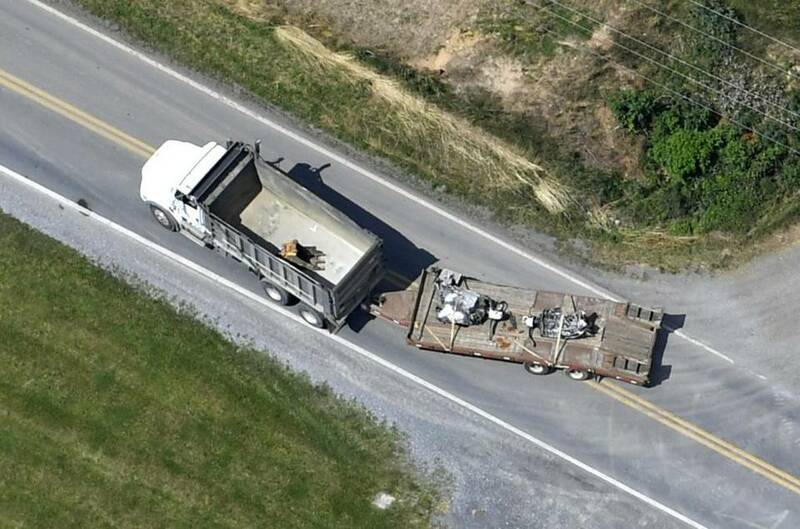 The engines were removed from the scene on Friday. At least one UPA neighbor told the Centre Daily Times at the scene of seeing the plane. That person correctly identified the plane, originally reported as a larger craft, as a smaller twin-engine. “After that, we remove to a secure location for a full examination,” Williams said. But the wreckage is not the only thing the investigators will take apart. A lot of the work involves paper trails. “We look at the pilot’s records,” Williams said. Orner had been involved in aviation since the 1970s, when he attended Pittsburgh Institute of Aeronautics. His resume showed a history as a professional pilot since 1987. He had worked for Aero National since 2013. Owner Tom Pizzuti said he made the Washington to Centre County trip with Arffa, who performed surgeries at Nittany Eye Associates once a month, regularly. “We look at the maintenance records of the plane,” Williams said. The Piper had one other incident in its recent history. NTSB records show “structural damage to the airframe” after the plane struck a flock of geese on takeoff in September 2012. There were no injuries in that incident. Then there is more. The environment. The weather. Anything that can be explored gets explored. And that can take longer than deciding who did what in an interstate car crash. 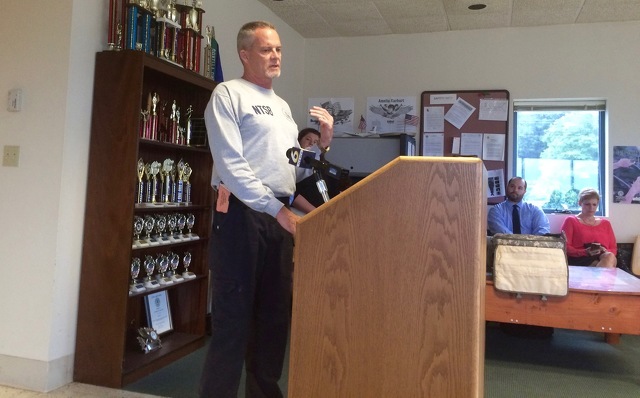 “Within a week to 10 days, we will have a preliminary report,” Williams said. The finished report, however, can take about a year. That bird strike with the same plane took eight months for a final determination. The airport should be just days away from a preliminary report for the crash landing of the two-seater 1989 Seela Gerald L Glasair SH-2F that happened June 8, just eight days before the Aero National crash. What they don’t do is engage in speculation. While Williams said the NTSB is usually able to determine the probable cause of a crash, there is no “usual” when it comes to what that might be. On a gray and misty Thursday morning, an airplane punched a hole in a piece of woodland in Benner Township. It created two more holes, leaving empty places in the lives of those who knew pilot Gary Orner, 60, of White Oak, and Pittsburgh-area corneal surgeon Robert Arffa, 62. The plane, an Aero National Inc. Air Ambulance Service Piper Navajo used primarily to transport medical personnel and patients, went down around 8:45 a.m. as it approached University Park Airport. Penn State spokeswoman Heather Robbins said the tower could see smoke coming from the craft, but attempts to contact it were unsuccessful. The plane’s wreckage remained at the scene of the crash midday Friday. 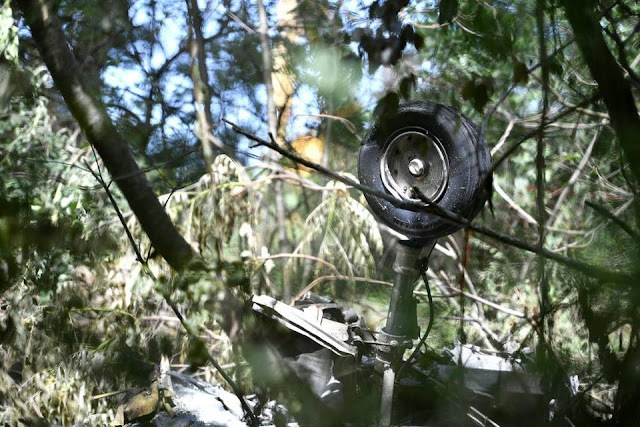 Parts of the 1980 twin-engine Piper were scattered along a debris path carved into heavily wooded Penn State land about one mile east of the runway at University Park Airport. A Pittsburgh eye surgeon was one of two people killed when a small plane from Washington County crashed trying to land Thursday at University Park Airport in Centre County. Dr. Robert Arffa, 52, a noted corneal specialist and Lasik surgeon, was killed along with the plane’s pilot, Gary Orner, 60, of White Oak, according to Centre County coroner Scott Sayers. 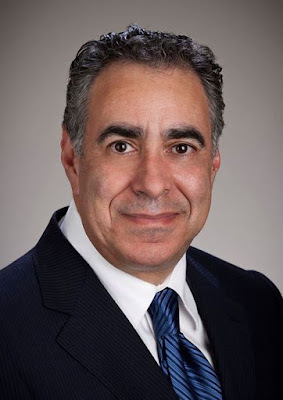 Nittany Eye Associates & Laser Eye Center confirmed the death of Dr. Arffa, who worked out of the practice’s Bridgeville office. Staff contacted today at Nittany Eye’s various offices declined comment. The small plane, a Piper Navajo owned by Washington, Pa.-based Aero National Inc., left the Washington County Airport in South Franklin about 7:30 a.m. and crashed less than an hour later as it approached the airport, which is operated by Penn State University. Mr. Orner, who worked full time for Aero National, and Dr. Arffa were the only people aboard the aircraft. University spokeswoman Heather Robbins said tower crews at University Park Airport saw smoke coming from the aircraft as it approached about 8:20 a.m. Thursday. She said they tried to alert the pilot but got no response. The airport was closed after the crash as authorities investigated. It reopened at 10:30 a.m.
"Gary was an experienced pilot and had flown this scheduled charter with Dr. Arffa on numerous occasions," he said. The incident is under investigation by the Federal Aviation Administration and the National Transportation Safety Board. A small, experimental aircraft crash-landed at the University Park Airport eight days ago. The pilot, the lone occupant, was not injured. 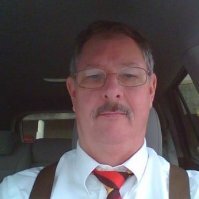 Brian Rayner, senior air safety investigator for the National Transportation Safety Board. 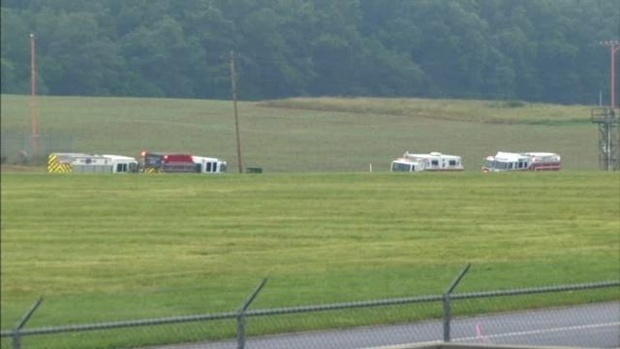 A southwest Pennsylvania doctor was one of those killed in Thursday’s University Park Airport plane crash, sources say. Nittany Eye Associates confirmed that the plane was transporting a doctor who was scheduled to perform Lasik eye surgery in their Windmere office. That office was closed Thursday because of the incident. One of the victims was confirmed by the company to be Dr. Robert Arffa, a corneal surgeon specializing in refractive Lasik vision correction. Centre County Coroner Scott Sayers confirmed two fatalities in the crash. Asked for confirmation of the information from Arffa’s colleagues, he said that he would not formally identify the victims yet. Late Thursday, Sayers identified the pilot as Gary Orner, of White Oak. He said his office was waiting for dental records for the passenger, who is expected to be identified Friday. Arffa’s office in Bridgeville was accepting calls. While an employee said they had been informed about the crash, she declined to issue a statement. The Federal Aviation Administration confirmed earlier that the plane was a Piper craft flying out of Washington County Airport. U.S. Rep. Glenn Thompson’s office confirmed the tail number as N3591P. That plane belongs to Aero National Inc., based in Washington. The FAA confirmed that the plane departed Washington County Airport Thursday morning en route to University Park Airport. The plane makes a monthly journey between Washington and University Park, according to Flight Aware, an online service that tracks flights nationwide. Nittany Eye Associates said Arffa made the monthly journey to provide the surgery, the only doctor in the county to do that kind of operation. Aero National is an air ambulance company that has served the medical community since 1969, according to its website. The company’s fleet information lists the Piper as one of five planes in use. Aero National has not returned calls about the flight or the pilot. Investigators from the National Transportation Safety Board (NTSB) and Federal Aviation Administration (FAA) arrived Thursday at University Park Airport to begin to piece together what caused a small airplane to crash, killing both people on board. A Piper PA-31-325 Navajo traveling from Washington County Airport and carrying only the pilot and passenger crashed at about 8:45 a.m. Thursday on approach to University Park Airport. The plane was approaching the airport near Barnes Lane when the air traffic control tower noticed smoke coming from the plane. The tower attempted to contact the plane and received no response. 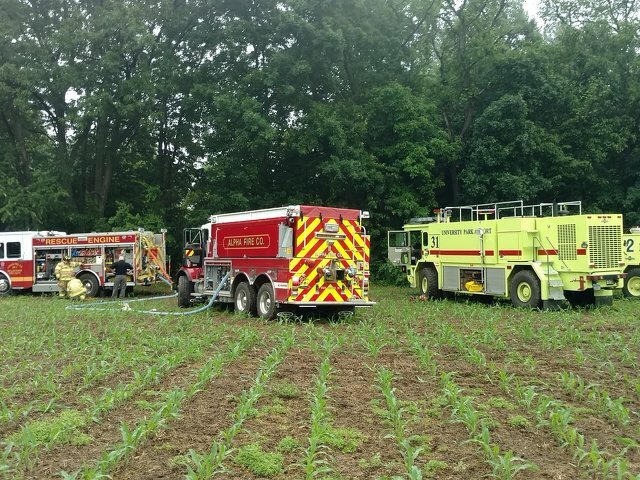 The plane crashed in a heavily wooded area in Benner Township, approximately one mile east of the airport and on Penn State property. Centre County Coroner Scott Sayers pronounced both individuals dead at the scene. Late Thursday he identified the pilot as Gary Orner, of White Oak, Pa. Sayers said his office is awaiting dental records for the passenger, who is expected to be identified on Friday. Brian Rayner, senior air safety investigator for the NTSB in Ashburn, Va., arrived Thursday afternoon and said he is assembling a team of experts to assist in the investigation. As of Thursday evening, investigators from the FAA and the plane's engine manufacturer had arrived, and an investigator from the plane's air frame manufacturer was en route. Air traffic control investigators, a meteorologist and others at NTSB headquarters also are assisting. While Rayner plans to submit a preliminary report in about a week, the entire investigation will likely take about a year. "The wreckage path is aligned with the centerline of the runway," Rayner said. "My understanding is the airplane was performing an instrument approach procedure to land here at University Park Airport... It’s my understanding the ceiling was at 300 feet, visibility was between one and three miles and there was fog." Rayner said the wreckage path is "very long" and because of the densely wooded area and damage to the terrain he had not yet been able to determine the path's point of origination. The plane had fragmented across the wreckage path and damage to the trees and terrain is significant. Rayner will obtain recordings from the air traffic facilities on the plane's route and from the tower as well as radar data from the course of the flight. At this point, he said, investigators are not yet aware of any emergency calls from the plane, only routine communication. It's unlikely the plane had a cockpit voice recorder, but it's possible that it had other components that recorded flight data that may shed further light on the accident. "In general terms we’ll look at this in three pieces," Rayner said. "We’re going to look at the man, we’re going to look at the machine and we’re going to look at the environment." Investigators will begin to examine the wreckage on Friday morning. Over the weekend he plans to have the plane's engines brought to the airport for closer inspection. "Anything throughout those examinations that captures our attention, we’ll move those components or items to a facility more suited for their examination. That might be a metallurgical lab at our headquarters or a factory facility to look at a specific component," Rayner said. He added that there will be a detailed examination of the maintenance records for the plane, which is registered to Aero National, Inc., a Washington, Pa.-based air ambulance and private charter plane service..
Investigators will review the pilot's certifications and medical history, as well as the medical examiner's report and toxicology test, which Rayner said are standard in crash investigations. They will also review the pilot's training and experience. Environmentally, in addition to looking at what the weather was at the time and how it compared to forecasts received by the pilot, investigators also will examine air traffic. "We have to collect these things," Rayner said. "I don’t place values on them, they’re just data points right now. I’ve got a big net out there and we’re just trying to pick things up. Later we’ll plot them and see how they connect and how one affects the other." Rayner applauded the work of local responding units in the aftermath of the crash. "The airport authority, the local fire departments, the university and several departments from the university, and the state police have done a phenomenal job of securing the scene and preserving the evidence that will help us explain this tragedy," he said. Investigators do not know of any witnesses who may have seen the crash, but anyone who did should contact witness@ntsb.gov. Following his preliminary report, Rayner will compile a factual report, which if approved, would be released publicly along with what is called a public docket. The five-member safety board will review the reports and evidence and determine a probable cause along with analysis and explanation of how the crash happened. The National Transportation Safety Board is conducting an investigation of Thursday’s fatal plane crash near the University Park Airport, but it could be up to a year before the investigation concludes. In separate press briefings held at the airport Thursday, airport representatives provided initial details into the crash, while NTSB investigators provided early investigation details. A Piper PA-31-325 Navajo crashed at about 8:45 a.m. about one mile east of the airport, Penn State spokeswoman Heather Robbins reported. Two individuals — the pilot and a single passenger — were pronounced dead at the scene by Centre County Coroner Scott Sayers. According to early reports from Robbins, the airport’s tower crew observed smoke coming from the approaching craft. When the tower attempted to contact the pilot, there was no response. According to airport Director Bryan Rodgers, air traffic controllers received no distress calls from the pilot, nor did they observe the plane make any unusual motions. Portions of Rock Road and Barnes Lane were closed after the crash, Robbins said. Rock has since been reopened, but Barnes remained closed at press time. The airport was closed following the crash, reopening at about 10 a.m., Robbins said. During that time, two non-commercial flights were diverted to different airports, and two non-commercial flights were delayed. At a 7 p.m. briefing, NTSB senior air safety investigator Brian Rayner reported that he was in the middle of assembling a team of investigators to assist him in the investigation, including NTSB and Federal Aviation Administration investigators, representatives from the engine and airframe manufacturers, air traffic controllers and meteorologists. Rayner reported that the coroner had completed his work at the crash site at the time of the briefing. The wreckage is in-line with the center of the runway, he said. The preliminary understanding is that the plane was performing an “instrument approach procedure” in order to land at the airport. The investigation will involve obtaining recordings of air traffic control facilities while the plane was en route to the airport, he said, as well as radar data that will show the route of the flight, airspeeds and altitudes. Right now, he said, his concern rests on examining the perishable evidence and he plans to examine the wreckage Friday. This could possibly include bringing the engines up to the airport for closer examination over the weekend. The investigation will also examine the pilot’s certifications, training and the medical examiner’s report when it becomes available. This investigation will follow on the heels of another. The airport’s last crash was just eight days earlier, when a a two-seater 1989 Seela Gerald L Glasair SH-2F crash-landed on the runway, closing the airport for about two hours. U.S. Rep. Glenn Thompson, R-Howard Township, commented on Thursday’s crash and both investigations. He said he weighed in because of the federal nature of airport and transportation oversight. “Anything like that that happens in the district, especially in my home county, I want to be informed about,” Thompson said. Thompson announced the $617,725 grant to the airport for the air traffic control tower, as well as aircraft rescue and firefighting building improvements in September 2012. The airport is a joint venture between Penn State and the Centre County Airport Authority. Thompson also announced a $251,690 grant for the tower construction in April 2010 and two grants totaling $950,000 for taxiway lighting and a master plan update in May 2012. Asked if he anticipates any reaction from the public to the two back-to-back crashes, he said he hoped that wouldn’t happen. “I think we will be better able to reflect on that when find out the findings of these incidents,” Thompson said. Benner Township, Centre County, Pa.
Two people who died in a plane crash in Centre County Thursday morning have been identified. Gary Orner was the pilot who died, according to Centre County Coroner Scott Sayers. The passenger, according to the Pittsburgh Ophthalmology Society, was Dr. Robert Arffa. Both men were from Pittsburgh. An autopsy is scheduled for Friday for both men. They were riding a Piper PA-31-325 Navajo plane from Washington County, Pa. before crashing into a wooded area one mile east of the University Park airport at about 8:45 a.m.
Brian Rayner, senior air safety investigator for NTSB, said the pilot was likely performing an instrument approach procedure to land at University Park Airport. Attempts by air traffic controllers to reach the pilot were unsuccessful. "We're going to look at the man, we're going to look at the machine, and we're going to look at the environment," Rayner said regarding the investigation. A team of FAA and NTSB experts will be on site Friday to examine the wreckage. Radar reports, weather reports, and witnesses may play a significant role in the investigation, Rayner said. The investigation could take up to a year to complete, according to Rayner. Shortly after the airplane lifted off the runway, the pilots observed a flock of geese approaching from the right. The pilot-in-command believed that the birds would impact the cockpit windows, so he pushed forward on the control yoke to descend and avoid such a collision. The airplane struck the runway hard and bounced back into the air. The pilots continued the takeoff and returned to the airport for an uneventful landing. Postaccident examination revealed structural damage to the airframe. Also, bird remains were found on the fuselage. The airplane’s encounter with a flock of geese during takeoff, which resulted in the airplane’s hard impact with the runway while the pilot maneuvered in an attempt to avoid the geese. On September 9, 2012, about 0710 eastern daylight time, a Piper PA-31-325, N3591P, was substantially damaged during an abnormal contact with the runway after takeoff from runway 27 at Washington County Airport, Washington, Pennsylvania. The airline transport-rated pilot, co-pilot, and two passengers were not injured. The airplane was registered to and operated by Aeronational Incorporated under the provisions of 14 Code of Federal Regulations Part 135 as an air medical flight. Visual meteorological conditions prevailed and an instrument flight rules flight plan was filed. The flight was originating at the time of the accident. The pilot reported that, shortly after lifting off the runway, a flock of geese was approaching from the right side of the airplane. He felt that the birds could have impacted the cockpit windows, so he pushed the yoke forward to avoid a collision. The landing gear contacted the runway "very hard" and the airplane bounced back into the air. Unable to abort the takeoff due insufficient runway remaining, he continued with the takeoff. The pilot remained in the traffic pattern and landed the airplane without further incident. A Federal Aviation Administration inspector responded to the accident site and examined the airplane. The inspector confirmed substantial damage to the airframe. Bird remains were also found on the fuselage. On September 9, 2012, about 0707 eastern daylight time, a Piper PA-31-325, N3591P, was substantially damaged during an abnormal contact with the runway after takeoff from runway 27 at Washington County Airport, Washington, Pennsylvania. The airline transport-rated pilot, co-pilot, and two passengers were not injured. The airplane was registered to and operated by Aeronational Incorporated under the provisions of 14 Code of Federal Regulations Part 135 as an air medical flight. Visual meteorological conditions prevailed and an instrument flight rules flight plan was filed. The flight was originating at the time of the accident.